A bright flower bouquet with 7 yellow roses (in the large arrangement), 5 chrysanthemum, 5 statitsa and greenery will be a nice and warm present for any occasion. A lilac mixed flowers arrangement. A wonderful shaped bouquet of 9 pink roses, 4 lilac (or pink) statitsa, 2 ghypsophillas with the lilac ball made of dry flower stems decorated with natural lilac fabric and ribbons. 9 yellow roses, 5 chrysanthemum, 7 irises, 3 limonium, greenery, natural wrapping. A dozen roses for sale! 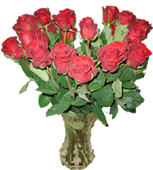 2 dozen roses for sale! 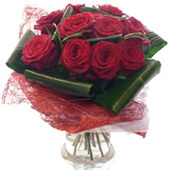 Choose the colour and state in the order comments or leave blank to proceed with the multi-coloured roses arrangement! 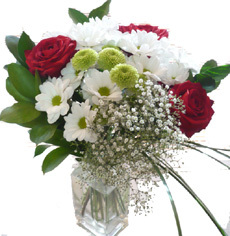 A fabulous bouquet of bright flowers makes any day unforgettable, pleasant and full of nice emotions. 12 chrysanthemum of different colours, 5 gerbers, 5 roses, other flowers and greenery. 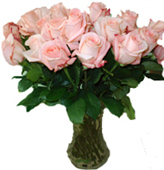 5 light pink roses and 9 tulips (available from December till May) of tender colours with ghypsophillas and greenery in a vase make the arrangement soft and tender. This brings the armosphere of deep care and warmth.